Beautiful Vatican.. a moment of purity,faith and silence.. #PCinItaly ps: chk out the line. Miles long. Faith is such an amazing thing. Priyanka Chopra, arguably one of the busiest Bollywood stars, is all set to start the shoot of Quantico 3. Priyanka plays lead character Alex Parrish in the American crime thriller which started in September 2015. Thanks to the show, Priyanka twice made it to Forbes' list of Highest Paid TV Actresses. 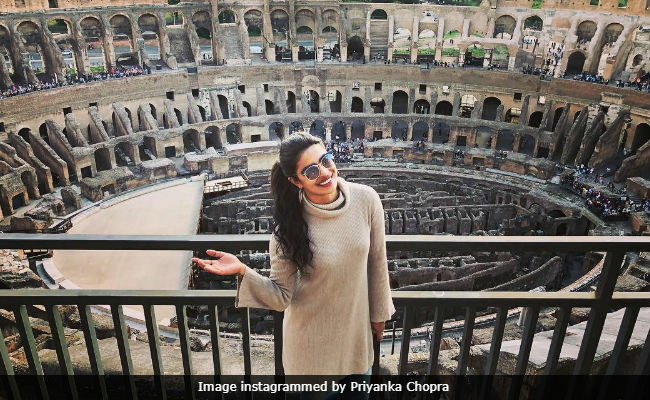 Priyanka retained her spot twice and for the next year she may get a better position courtesy her upcoming production venture, an American television show based on the life of Bollywood actress Madhuri Dixit. As for films, Priyanka Chopra was last seen in Baywatch (her Hollywood debut). Since then she has made two more Hollywood films - A Kid Like Jake and Isn't It Romantic? - in which she features in supporting roles. Priyanka Chopra, who has produced several regional films in India, hasn't announced her next Bollywood project yet.